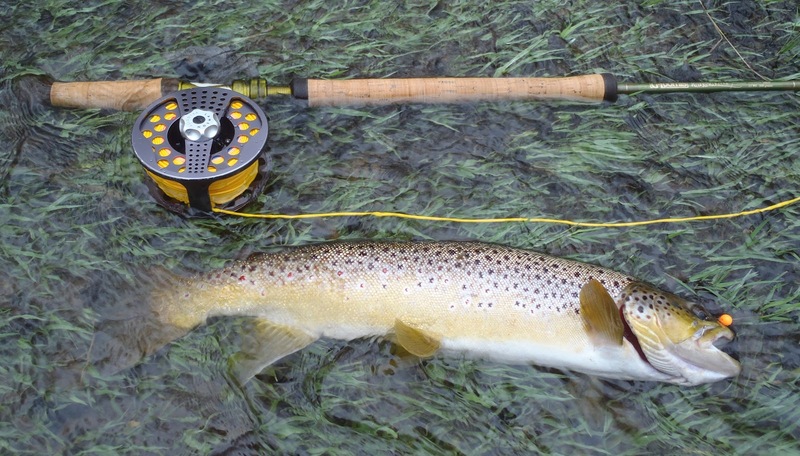 Anytime we catch a brown trout in Michigan while chasing steelhead, its a bonus we all look forward to and remember. I found this guy hiding behind spawning steelhead in Berrien Co, just minutes from Indiana. Who says its all carp and largemouth bass down here! Its no secret that brown trout love salmon and steelhead eggs, and dead drifting beads and yarns eggs is a very effective way to target these beautiful fish. The river was just shy of 60 degrees and stained with the recent rains. The steelhead are spawning and I'm afraid the spring run will be over shortly, unless you plan on traveling north. Tight Lines. A.O. That's a nice fat brownie you netted. Hope to see more of the same or bigger posted this summer.